If you want to grow your exports, you will need information, not just before expanding into your chosen markets, but constantly. As a successful exporter you will want to know about changes within your markets, fluctuations in product demand - in other words, you need to keep up to date. First, you can subscribe to a daily newspaper either in print or online and skim-read the World focus section to check what might have happened in your market. The Business section should also be skimmed to pick up news about competitors in your industry or sector. Secondly, you can use a current affairs website such as www.stuff.co.nz and keep a watch on that daily, or sign up for RSS feeds or messages to your mobile phone. Thirdly you can pay to subscribe to a clippings service. You set the guidelines and the company will clip the press for articles about those topics and send them to you. The exporter needs to be committed to making such a service work by having a knowledge management system which files these clippings and enables them to be retrieved easily. 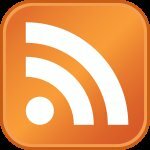 Fourthly you can subscribe to RSS feeds from the Exportersblog - a unique New Zealand blog. A fifth way you can use is by subscribing to email alerts or to e-newsletters. These are usually free, and of course like clippings they must be managed by a system such as folders for each title or alerting service. An example is the Businesslink e-newsletter from the New Zealand Ministry of Foreign Affairs and Trade. Feeds can be very specific. 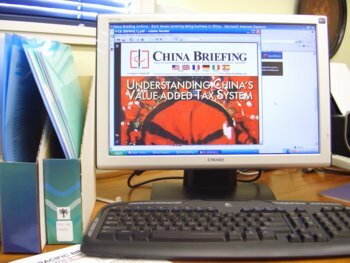 For example in Exportersblog you can subscribe only to the feeds or updates that are tagged with China. Users do not have to send an unsubscribe request to stop receiving news. They simply remove the feed from their aggregator (such as i-Google). Alerts are messages delivered to your email inbox or alert folder letting you know when new information is available. Registration is free. By searching in the ELIS Catalogue under Keeping up to date you can see a list. All can be subscribed to through the website URL available under each title. You should subscribe to Export news from New Zealand Trade & Enterprise. Go to www.nzte.govt.nz and register for the latest weekly export intelligence, news, commentary and press releases. Together with the newsletter of the New Zealand School of Export - exportfocus, these are essential tools for keeping up to date. The TraLIS blog is specifically for library and information professionals and deals with topics which help you stay on top of your service to your international trade colleagues. Page last updated 24 November 2009.